Fran Forman’s artwork has been exhibited widely, both locally and internationally, appears in journals and magazines, and adorns the covers of several books. She has won significant prizes in her field, and her works are included in the permanent collections of the Smithsonian National Air and Space Museum in Washington, D.C., the Museum of Fine Arts in Houston, and the Museum of Fine Arts in Boston. She is a currently a resident scholar at the Women’s Studies Research Center at Brandeis University and teaches digital collage at the School of the Museum of Fine Arts, Boston. According to Fran, she has been an atheist since tenth grade and has never wavered. You have said you are an “unapologetic atheist.” Was this always the case, and is it something you ever felt apologetic for? Have your thoughts about God changed over the years, or would you say that you never believed in a God? When I starting thinking like an adult and not a totally self-centered child, around tenth grade, I came to the conclusion that god was just a concept, not any sort of being. Over the years, my feelings haven’t changed about this, but I’ve become more determined to honor the rhythm of nature (the Darwinian approach) with just a little chaos thrown into the mix to shake things up. I don’t talk about this much; no one seems interested, nor do I think they would care. I can’t recall ever discussing it with any of my friends or colleagues, either. Given that some of your art has a spiritual or mystical feel to it, is there anything you’d like to say about that? Maybe how your spiritual beliefs show up in your art work? I felt less like a trendsetter and more like an average person! It’s interesting that the poll identified self-proclaiming Jews who didn’t feel it was necessary to believe in God… which is the point I want to make: One doesn’t need to believe in a higher being to be Jewish or to feel Jewish. 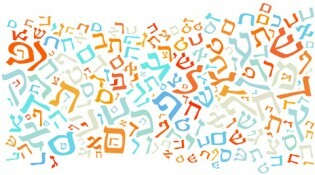 How do you handle the patriarchal language about God that seems like such a centerpiece in Judaism at synagogue, during prayers, etc.? I see the language as words and symbols from an historic period that thankfully has evolved, or as a window into an ancient culture. That said, I rarely go to synagogue. As a parent, is this a topic you’ve spoken about with your children? Do your children believe the same, and has there been any tension around this issue? I do want my daughters to feel proud of their heritage, their Jewishness, to feel connected to the idea of Israel, and hopefully to raise their kids as Jews. I don’t recall ever discussing the issue of a god with them, but if I did, I’m sure I told them what my belief is. 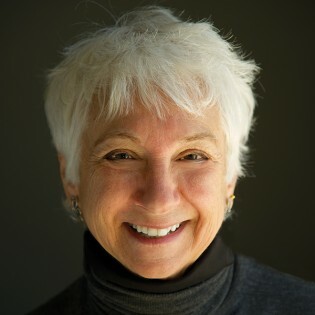 To learn more about Fran Forman, visit www.franforman.com. Fran is a FaceBook “Friend” of mine. Her work is fantastic. She takes elements of the old, and pictures this, in a kind of fantasy collage, that speaks to the depth of metaphor and beyond. She just came out with a new book, which I am sure, this compendium, is beautiful. I heard Fran speak many years ago at The Newton Free Library. It might even have been the time I sat just behind Howard Zinn. I just wrote to my son about Howard and about a place in Cambridge, on Mass Ave, just out of Harvard Square, called Zinnias. I was just there and it’s a beautiful gift store, filled with the work of artisans in jewelry, and I told my son, if he and others are looking to purchase a gift for my birthday, that is coming up shortly, they should go to Zinnias. I also wrote to the store, praising them, because they also support Fair Trade artists, and it seems they do it, for LOVE. My son is an atheist. He takes pride in being an atheist. There is plenty in life to make people atheists. All this bloodshed. Murder and Mayhem around the world. This morning I opened the Globe to read a truly horrific story of how a man shot a surgeon to death, then himself, thinking this surgeon responsible for the death of his Mother. O for sure, these bone chilling ongoing stories, from around the world, make my blood run cold. And you wonder, Where IS God in all this? What kind of God allows for pogroms, the Holocaust, the Armenian Genocide, and the sorrows we’re all heir to… because No One escapes. You could say, we’re all sacrificed. And how does this square with a God of LOVE? Good question? Even theists, have this same question. And then there are the birds, the gardens, the flowers, the animals, and how they do, in deep ways, carry this inchoate thing we call SOUL. And then there is what I wrote, so passionately about, in my other email, about ONE, about an inherent One ness, the infolding of opposites, an ancient story for sure. Can you have, the One, without, The Other? So how deep do you want to go on this question. Because I have plumbed these depths, in every possible way. You would, if Your Life, were totally visibly synchronous. As is mine. I have that proof already. In thousands of letters, that do celebrate the other half, of astounding connectivity, through Stories. This could not be random. Not a snowball’s chance in Hell. So it could also be, could it not, the Story, being a cosmic story, is not over. And if there is a Book called LIFE, and if we’re all actors in that Book called LIFE, as in Yom Kippur, then a Story that is about, War and Peace, is not over yet, and it could be an ancient promise, made in salt, a Covenant of Salt, will become emergent, and we will all move forward in ACCORD, A CORD, A CHORD, because it’s always been about the Music. I am not asking here. I am telling. I already KNOW, because God talks to Ruth and Ruth talks to God, and together, we have written a Story that is total Proof. Going through the Ruth. Maybe remember The Book of Ruth, and read this again, slowly, with renewed comprehension. As in those fields, left for the poor and hungry. Because as to wheat, we all do need to learn to sort the wheat from the chaff. Is God playing a game of What’s My Line? You bet. We’re all Aspects of Divinity. And the Story I am recording, IS totally DIVINE.